Small and fast video converter for YouTube videos. Just past the link to the video and extract the music on your computer in one click. It combines simplicity of usage as well as advanced downloading features which you can set as you like. How to download music from YouTube: Enter the link of the YouTube video. Select a format of your choice. Click the "Download" button, wait some seconds and get your audiofile. You can download the music from any types of video: complete playlists and show lists, users' channels, all videos from personal playlists (History, Liked, Favourites, Watch later, etc. ), artist's playlists, videos from Movies Category, videos from Music Category, videos from YouTube charts, video responses. 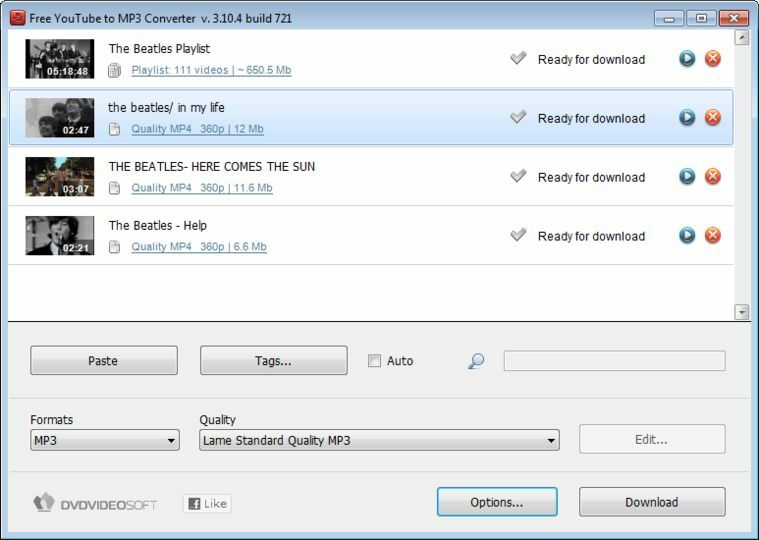 Output file formats: mp3, m4a, aac, wav, wma, ogg, flac, ape. The files are saved to the folder Music and they retain the name of the source video. Or you may change the name before downloading - for example, create the prefix to organize them in better way.